Our Workstyle Innovation Technology offers touchscreen convenience. Choose from multiple intuitive interfaces. Download convenient apps to uncover new information and automate workflows. Use one-touch controls for primary tasks, or add icons for specialized functions such as ID Card Copy or Scan to Folder Helper. You can even choose optional workflow software, including Streamline NX and Nuance® AutoStore®, to move information faster. Download the Smart Device Connector app to control the MP C6503 from your smartphone or tablet without software or utilities, and wirelessly print on demand. 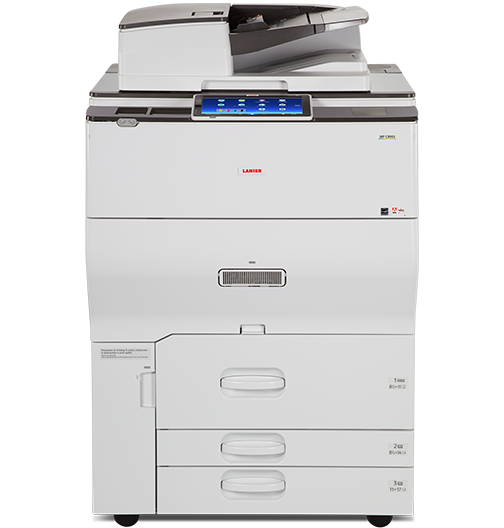 Scan hardcopies at the MFP and transfer them to your mobile device to take electronic versions with you on the go.